These are a few of the books in my art room. I love books on old ornament, vintage type and lettering, textiles, mythology, religious-inspired art, Uppercase magazines. The little pillow I made some years ago when I was inspired by milagro hearts and Mexican paper cutting. A new set of tiny travel watercolors I wanted to try out. First time using tiny watercolors. I drew from the old flower engravings (see previous picture). Vintage type and lettering. I've always loved overly ornamented lettering and circus type. Old drawings of hands, especially ones with a lot of lines and words. Hearts afire, milagro hearts, and all sorts of religion or spirituality-infused art. Beautifully illustrated tarot cards, such as this pack I've had since, well, a long while now. Asian ornament, especially Chinese and Japanese. I've always been drawn to kimonos, and cheongsam dresses and Mandarin collars. I married my husband in a vintage red cheongsam dress I bought on ebay for $25. 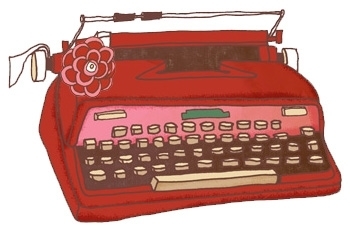 Here is my last snippet for now, with ink drawings and watercolors. I'm looking forward to seeing the 50 chosen next Friday. For some reason I'm not anxious about moving on this time. I had a chance last year, and I stumbled in the 2nd round and was confused about what direction or style to go in. I spent the better part of the year pondering about my style. I gave myself the time to be lost, confused, doubtful, (and about drowned in the whirlpool of comparisonitis), and time to explore and time to be with my kids. I'm in a different place this year and that's a good thing for me no matter what happens today, tomorrow, or next week. 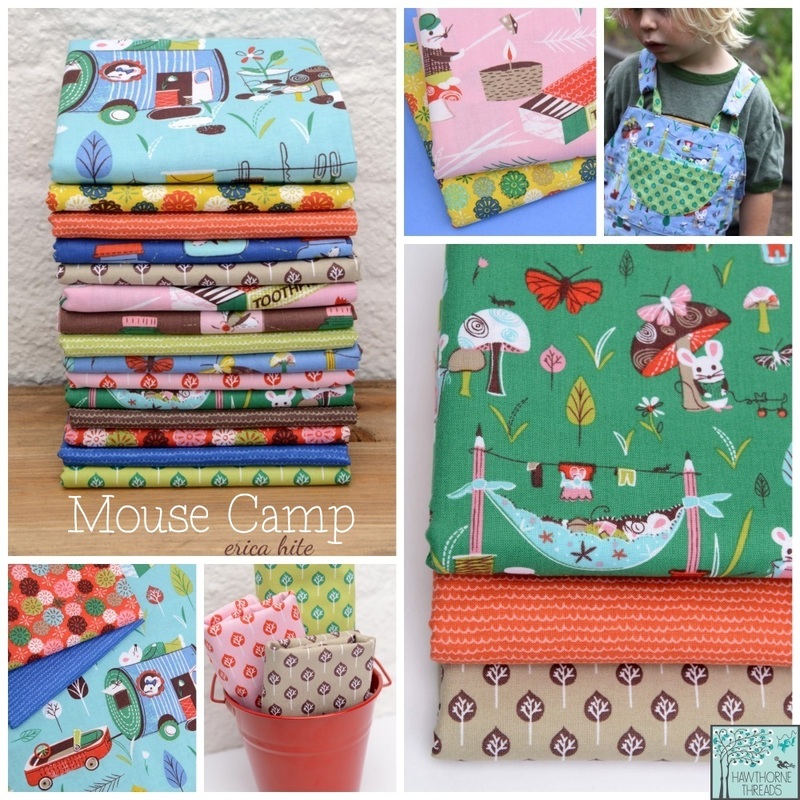 I'm posting today because I wanted to share that my Mouse Camp collection with Windham Fabrics is available in stores and online. A lovely photo from Hawthorne Threads (they have the entire line for sale on their site). I'm listening to Catching Fire, the second book of the Hunger Games series (which I've read twice and listened to twice), and I'm at the part where Wiress keeps repeating, "Tick Tock" to the other tributes in the games. I don't know about you, but I love to listen to books while I work. I found it relaxing to do my drawings in fountain pen and ink and cut out some tissue bits and made watercolor blobs. I further explored more sketches, this time in pencil.